When He says, "Seek My face," what does your heart say to Him? There are some things in life that cannot be attained cheaply or superficially. Scores of scriptures call us to something much more consuming and fulfilling than just having a religion about Jesus Christ. Yet, the challenge is to focus and centralize our efforts to appropriate what Jesus came to give. He warns, "For the coming of the Son of Man will be just like the days of Noah. For as in those days which were before the flood they were eating and drinking, they were marrying and giving in marriage, until the day that Noah entered the ark, and they did not understand until the flood came and took them all away; so shall the coming of the Son of Man be" (Matt 24:37-39). The biggest battle we each might fight is to stay focused on God long enough to learn how to abide in His presence. Before we can redeem the world, we must redeem our time. And we would think that with all the time saving conveniences we have in life, that this would be easy, but it is not. The real test at the end of the age is: can we live in a place of focused renewal? Those whom I have known who have fallen into sin, never were taken in suddenly by the enemy. Their failure was always precipitated by an earlier erosion of their focus; their time with God was incrementally replaced with non-spiritual things. Left without the help of God, Satan's temptation came to a heart vulnerable and without strength to resist. "But be sure of this, that if the head of the house had known at what time of the night the thief was coming, he would have been on the alert and would not have allowed his house to be broken into" ( Matt 24:43). Speaking of the devil, Jesus warned that the "thief comes only to steal, and kill, and destroy" (Jn 10:10). Beloved, the first thing the devil steals is time. Once we surrender our devotional time with God to non-spiritual things; once this world becomes more important to us than the next, the enemy has easy access to "kill, and destroy" our virtue and spiritual strength. Again, Jesus taught a parable about a certain man who was having a banquet and "sent his slave to say to those who had been invited, 'Come; for everything is ready now.' But they all alike began to make excuses" (Lk:14:17-18). When the Lord calls us to Himself, do we make excuses? I'm tired. Hungry. Busy. Jesus tells us that the reasons for avoiding Him will seem legitimate: "I have bought a piece of land and I need to go out and look at it; please consider me excused"; "I have bought five yoke of oxen, and I am going to try them out; please consider me excused"; "I have married a wife, and for that reason I cannot come" (Lk 14:19-20). I know it seems radical, but Jesus' final point is so contrary to the image we have of Him that His next admonition seems almost non-Christian. Let me also remind you that He wasn't only talking to His apostles or other "higher ups" in His staff; He turned and spoke to the "great multitudes [which] were going along with Him" (Lk 14:25). "If anyone comes to Me, and does not hate his own father and mother and wife and children and brothers and sisters, yes, and even his own life, he cannot be My disciple. Whoever does not carry his own cross and come after Me cannot be My disciple" (Lk 14:-26-27). Here's how His words strike my heart. To me, He is saying that I must not let any relationship challenge His love and call upon my life. And, if there is a decision to be made about doing His will, I must always choose Him above everyone else's interests, even my own. By comparison, every other relationship I have could appear like hate when measured by my love and obedience to Jesus. Of course, loving Jesus brings the very best of heaven into all my other relationships; I possess something of Christ's life that brings greater love back to my family and friends, and even my own soul. But above all, the choice must be made for Christ. You say, "This doesn't sound like the Jesus I know; He loves everyone." Yes, but He also knows the battle for our souls will be fierce and that to be successful in our spiritual journey, He must be first. There are many seasons in life. Proverbs tells us there is a time for every purpose under heaven. Beloved, I believe it is time to draw near to God, to prepare our hearts for His presence. There simply is no substitute for the presence of God. David was a king. His life was filled with many responsibilities and he was clearly very passionate about many things. Yet he wrote, "When Thou didst say, 'Seek My face,' my heart said to Thee, 'Thy face, O LORD, I shall seek' " (Ps 27:8). If the Holy Spirit were to whisper to your heart that He wants more of your time, when the Lord says, "Seek My face," what do you say? Oh beloved, here is the true battle for your soul. Your victory is not in getting more counseling, but in your answer to the Lord's call. The result of seeking God is that He guides us into an absolutely fearless life (see Psalm 27:1-4). David says, "For in the day of trouble He will conceal me in His tabernacle; in the secret place of His tent He will hide me; He will lift me up on a rock" (Ps 27:5). Today, with so many distractions, what place does the Lord have in your life? If He called you to deepen your walk, to seek His face, how would you respond? When He says, "Seek My face," what does your heart say to Him? 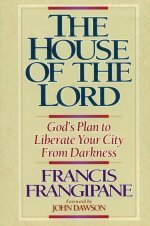 "The House of the Lord"
This book pleads God's case for a Christ-like church, united in prayer and mission, as the only hope for our cities. Lauded by leaders for its visionary and practical approach to uniting the church. "The Days of His Presence"
A great shaking is occurring in the church and unscriptural divisions are all crumbling like houses of clay in an earthquake; God is rumbling through Christianity! What remains will be our devotion to Christ. 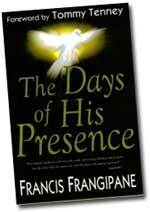 The Days of His Presence is a trumpet call. It not only heralds the return of the Lord but the return of His glory to the church at the end of the age. 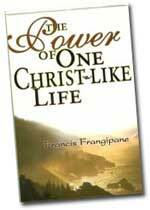 Under-girded by both the Word of God and a vision the Lord gave Francis in 1971, this book will do two things: transform your view of the last days, and help prepare you to receive the fullness of Christ in the day of His glory! "It's Time To End Church Splits"
In this timely work, Francis tells us that it is time to end this curse on the church. 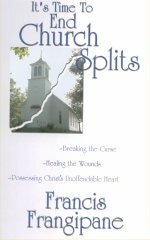 He not only exposes the deceptions surrounding splits, but brings us to a place of healing and beyond---to obtaining the "unoffendable" heart of Jesus Christ. The prayer of a Christ-like intercessor is the most powerful force in the universe. It can delay God's wrath until the time comes when He pours out His mercy. Discover the power waiting to be released by one Christ-like life. This book takes the truths from "America at the Threshold of Destiny" and applies them to people around the world. If you donate to The Elijah List, we will automatically send you the current tape of the month for that month at NO_CHARGE. Any amount over $15 will be tax deductible. Subscribe to The Elijah List here. "The Ancient Language of Eden"
"Parables in the Night Seasons"
"A Call to Remove the Occult Shield of Protection over three Men through Prayer-- B*n Laden, Arafat, and Yassin"
"Standing in the Council of the Lord to Know the Times and the Seasons"
Kim Clement Expounds on the Controversial 35-day Prophecy: "Osama b*n Laden WILL be Uncovered"
The Convergence of the Ages: "When Jesus Serves the Best for Last"
"Learning to Spend Time With Daddy On the Sea of Salvation"
Please forward this to your friends and your own lists. Please also keep the author and Elijah List info intact. Others may freely subscribe or unsubscribe to THE ELIJAH LIST by sending an email to: subscriptions@elijahlist.com or by going to www.elijahlist.com.